Fairly intense stare she has/had. She is Introvert i guess. INFP is my wild guess. Note i have not meet a INFP yet. perhaps once but i made that brief by accidence. wierd memory work->Tamagochi->tetris->Starcraft2->thugs->Chess->german techno->Love parade->disaster->death..
What a voice that woman had, when she was younger. Incredible. I don't know anything about her personally, so this typing is based solely off of her face. Also, I think there was another thread for her before. She seems more ESTP to me. She doesn`t focus on the audience much.. Seems to be doing her on thing. yikes i thought you were the pyscho grace slick fanatic for a sec so glad you're not. 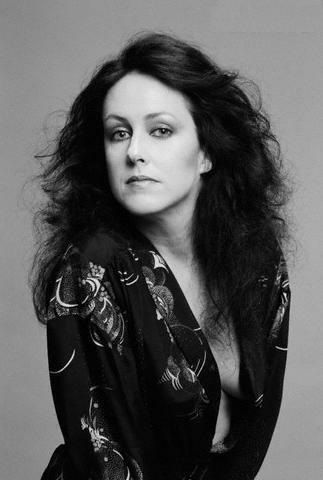 I like jefferson airplane and the look she gives to camera and the way she is in front of camera is fairly spesial so it got me wondering, thats all. My guess would be ISTP because she's quite curt and blunt in interviews. In an interview from '98, she said she only went to Finch College because it "wasn't hard to get into" and required minimal work... Apparently, she needed a cover so her parents could fund her move to NYC, and college was the only way that was going to happen, so she basically went there under false pretenses. She has been arrested for mouthing off to police when drunk, and tried to attend a tea party at the White House, where she was going to put LSD into the tea (was turned away by security before that could happen). That sounds like something only an SP would have the guts to do. She also had sexual relationships with most of the band except for Marty Balin, who she often duetted with. They did not like each other. She's slept w/ Jim Morrison and probably plenty other rockers from that era. She has a no-nonsense kind of attitude when she talks about her relationships, and almost sounds like a man in interviews with how she words things. She's very unapologetic and to the point with how she talks about herself and stuff that happened in those days. Mystery couple found dead on a dirt path. Shot execution style. Identities unknown to this day. Help us get justice for "Jacques" and Jane Doe. Grace Hanadarko from "Saving Grace"